Meanness. It’s not present in every bad marriage, but it’s a common theme I see in marriages that are struggling. Whether it’s the causation for the problems or simply a common characteristic of those who are struggling I’m not sure, but meanness is present in many bad marriages. Kindness is one of the most overlooked characteristics of a happy marriage. Happy marriages are inundated with kindness. They are a continual give and take of actions of kindness, never with the expectation of reciprocation but always with the belief that being kind is a key component of love. 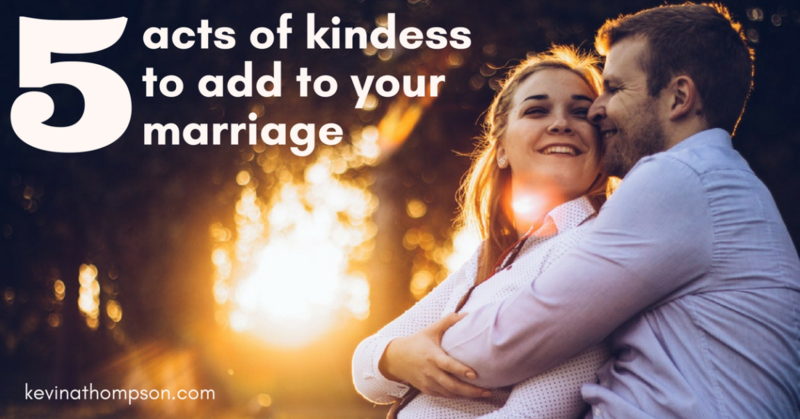 Because of the correlation between kindness and marital satisfaction, wise couples continually consider acts of kindness and brainstorm ways they can do a better job of expressing it to their spouses. Happy couples want to be kind and they choose to be so. Here are five acts of kindness which any couple can add to their regular routine. 1. Take one small thing off their plate every day. It may not happen every single day, but on most days find a way to do one small thing for your spouse. Of course, the prerequisite for this step is to find out what is on your spouse’s plate. Just being informed about your spouse’s responsibilities and pressures will better your relationship, but finding a way to assist them will improve it even further. 3. 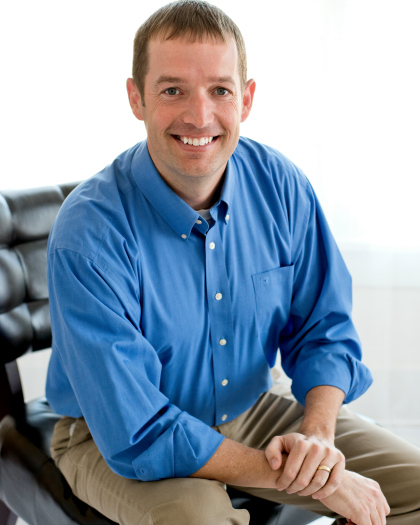 Identify their favorite things and make them methodical acts of kindness. Random acts of kindness are great, but so are methodical acts. Forming daily/weekly habits in which you serve your spouse is a meaningful way to communicate love. “He brings me coffee every morning.” “She always packs my lunch.” These are comments I regularly hear from happily married couples. The acts might change over the life of a marriage, but each season of life has specific things which our spouse would enjoy us doing for them. Figure them out and then make them habitual. 5. Attend to your spouse’s needs even when you are tired, stressed, or frustrated. It’s one thing to be kind when it’s easy; it’s something far different when it’s difficult. Being mean is often a byproduct of weariness or angst. When we continue to be thoughtful and gracious to our spouse, even when we are tired, stressed, or frustrated, it makes the kindness even more powerful. In part, we should find ways to be less tired, stressed, and frustrated for the sake of our relationships. By sleeping, eating right, and find ways to rejuvenate our souls, we are helping our marriages. Yet weariness and frustration are never fully avoidable. In those times of great stress, our choices of kindness are even more telling. Many believe that kindness is a built-in trait which someone either has or does not have. This isn’t true. Some may be more or less kind based on personality and their upbringing, however, everyone can become kinder. It’s like a muscle. By choosing specific actions and repeating them, we become more or less kind. When we surround ourselves with kind people, model their actions, empower friends to call out our bad behaviors, and choose better, we become more kind. The beauty of marriage is that kindness begets kindness. As spouses serve one another, their good acts can compound. One act of kindness can turn into a river of change. What is your favorite small act of kindness your spouse does for you? One enemy of kindness is taking. When one spouse is a taker and not a giver, it hurts the kindness on both ends. Kindness only when you feel like it is not kindness. Great article Kevin. I have found that through constant giving to my wife that she has softened her heart and has started doing random acts of kindness in return. He starts my car and defrosters the windshield on cold mornings, even when he doesn’t have to get up and go to wrk when I do. My husband doesn’t do anything kind every. He doesn’t also see and appreciate when I will do that. That’s why I’m always angry and I think I will give up an sacrifice our marriage as I have no more energy to fight for this marriage.